Observation - Horse Chestnut - UK and Ireland. Description: Dark grey-brown bark, sticky reddish-brown buds. 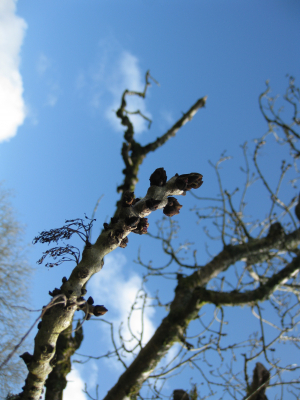 Dark grey-brown bark, sticky reddish-brown buds.